Based in Houston, Renfrewshire, DMD Detailing are perfectly located to offer BMW Paint Protection for clients who come from all parts of my surrounding areas of Renfrewshire and Inverclyde including Glasgow, Paisley, Greenock, Gourock, Port Glasgow, Ayr, Kilmarnock and Dumbarton. My detailing services for your BMW include paint correction which will remove swirl marks and hazy paintwork that has been damaged with poor wash techniques. ​My Ceramic Paint Protection Packages consists of me applying a quality Ceramic Coating to your BMW which provides from 3 years up to 5 years paint protection with the right after care. The 9H Ceramic Paint Coating Protection for BMW cars is a dedicated paint coating that forms a permanent bond directly to the paint’s surface becoming the active top layer and provides amazing durability and a high gloss effect. The 9H Ceramic Paint Coating is more resilient than ordinary car waxes and will provide superior paint protection on your BMW from bird droppings, tar, harsh chemicals, UV rays & even minor swirl mark scratches. 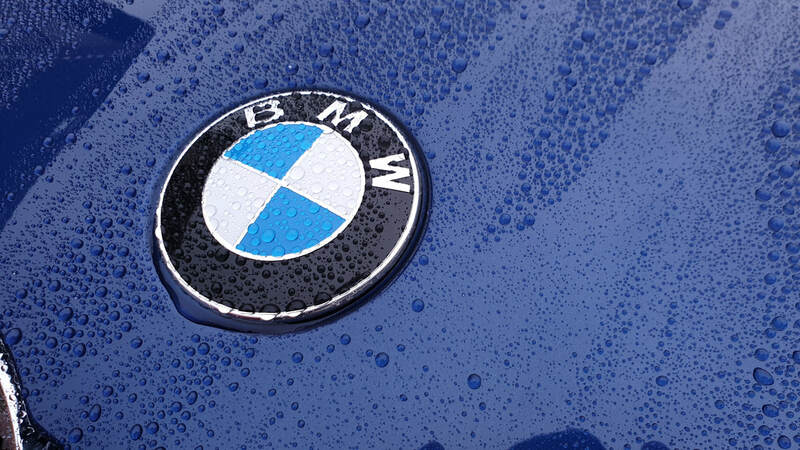 Unlike ordinary waxes, the ceramic paint coating protection has a high level of hydrophobicity which makes maintenance and washing of your BMW much more easier. ​Have the swirls, fine scratches and holograms completely removed from your BMW's paintwork with my Paint Correction services. DMD Detailing provide two packages, Stage One Paint Correction for vehicles that have picked up light swirl marks & my Stage Two Paint Correction Package for seriously neglected vehicles. Alternatively, please feel free to contact us with any enquiries or questions you may have regarding BMW Paint Protection treatments. Treat your BMW to the ultimate in paint protection, protecting against harmful effects like acid rain, bird droppings, light scratches, sun and bad washing techniques. 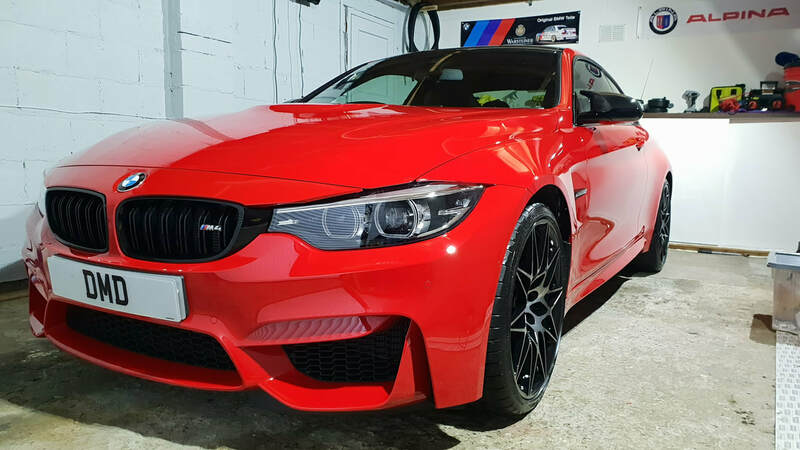 It is applied on your BMW's paintwork, plastic trims, bumpers and wheels ensuring a minimum of 3 years durable nano ceramic coating paint protection for your BMW. The unique technology enables it to achieve a thick paint protection coating, and this coating effectively protects your BMW. The ceramic coated surfaces gain a highly-hydrophobic surface that results to an easy-clean surface requiring little to no time and effort for a superior shine. Your BMW stays cleaner and shinier for longer with the ceramic coating paint protection. Always with a better than showroom look!